Thankfully, a compelling future for VR – that has mostly stayed under the radar to date – is WebVR: the distribution and display of VR in a headset agnostic manner which lets content creators build and distribute VR experiences directly to consumers, at scale, via a web browser. The WebVR path to become a standard sounds familiar to me. I spent the past 5 years looking at how WebGL unfolded. Initially not a standard at all, with many people laughing even at the concept of displaying 3D in the browser. It eventually landed in iOS, and even in IE, after many said it would never ever get there. I see the same thing happening with WebVR, with the usual doubters saying “real VR” can’t be done in the browser, and starting to get into frame rate considerations etc… Condemning the potential of a technology by judging where it is today kind of misses the point. And if the frame rate was debatable at first, it is pretty solid today, and will only get better just as the browser keeps improving. Most of the VR content today is gaming, studio-made, paid for and downloadable. But if VR is to become the next big computing platform – after the PC era, the internet era and the mobile era – the bulk of the content will be user-generated, free, web-based, and as a result much broader than just gaming. Why is WebVR such a big deal for the future of VR? There are several key reasons. One of the questions that keep coming back in the VR world is: how do we get people to come back to their headsets. The industry answer so far has been to bring content to the headsets through the app stores. WebVR opens the door to a much more scalable approach: bringing headsets to the content. We should focus on bringing the content where the audience is, which is Facebook, LinkedIn, WordPress, Reddit, Twitter, Google search results… all those online publishing platforms who have a much wider and pre-existing reach compared to the brand new VR app stores. The web has already disrupted the distribution of music, images and videos, VR content is next. VR is very fragmented right now. There is a new VR headset hitting the market pretty much every week, with its own ecosystem (app store, controllers etc…). WebVR does a lot of the hard work to enable cross platform compatibility. In other words, it’s rather straightforward to make a WebVR experience compatible with all headsets, whereas for native builds you have to build for each headset. It’s 2016, people don’t want to download things. They want content that is one click away. WebVR is the only way I know to allow VR to be one click away. WebVR doesn’t mean we don’t need app stores, of course. Advanced games and long-form movies will offer a better experience if downloaded, and many people looking for content will head to the app stores to find it. The great thing is that WebVR is totally compatible with native apps and app store distribution. 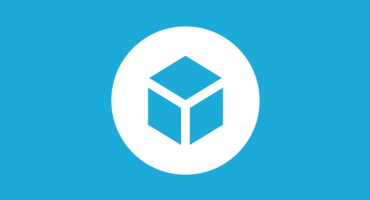 I expect to see more and more native apps embedding WebVR content, so they can benefit from the store distribution too, while leveraging the web as a scalable infrastructure. 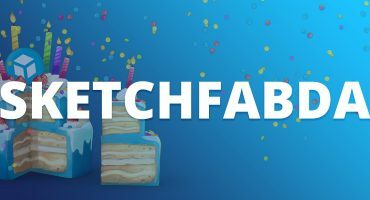 And if you are looking for content to explore in VR from the Web, take a look at sketchfab.com, the world’s largest library of user generated VR content on the internet. This is the future, no doubt about it. You are more than right. This changes everything, and will change the way we do business more than many think. Will work on my end to start introducing VR trough Sketchfab on my web and on my clients websites. Great post.